This post may contain affiliate links. For more info please read our disclosure. These are the best Bluetooth speakers for home and office with a rating of at least 90% positive. The Bluetooth speakers below can be paired with compatible smartphones, tablets or home smart speakers. 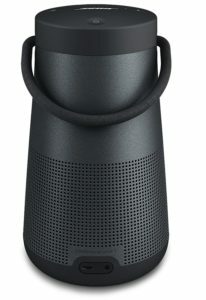 All of these Bluetooth speakers feature a built-in mic to connect to your speakerphone or digital assistants such as Siri, Google Now or Alexa. 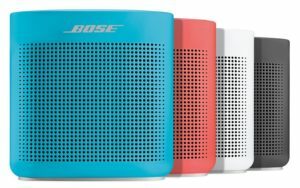 These Bose SoundLink Color are crystal clear sounding speakers that are available in a few colors. The Bose technology allows so much sound in these small speakers. The SoundLink Color is water-resistant with a rugged soft silicone exterior. The rechargeable lithium-ion battery will provide about 8 hours of playtime. There is voice prompts that will help make the Bluetooth pairing easy. These cute waterproof Bluetooth speakers are available in all the cool colors. 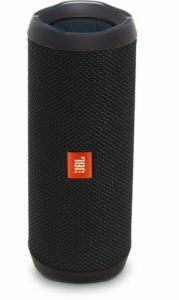 The JBL Flip 4 has a feature is not often available in Bluetooth speakers, the ability to connect to two smartphones or tablets and alternative devices. The Flip 4 has a lithium-ion battery that will give you up to 12 hours of playtime. For music fans on the go, these may be the best Bluetooth speakers thanks to the Connect+ technology that can wirelessly link 100+ JBL Connect+ enabled speakers together to create a new type of music experience with friends and strangers. With an average rating of 4.5/5 and over 17,000+ positive reviews on Amazon. Customers agree that these are the overall best Bluetooth speakers available. 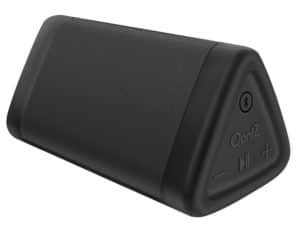 The Cambridge Soundworks Oontz Angle 3 has crystal clear sounds with distinctive mids and highs, delivering enhanced bass and stereo sound. The Bluetooth speaker is distortion free at the maximum volume. This device is water resistant, splash proof, dust proof, and sand proof. The Oontz Angle 3 is comfortable and portable, thanks to the lack of square edges. You’ll get up to 12 hours of playtime at 2/3 volume. Bose speakers are always on these best speaker lists. The reason is that Bose speakers have a certain quality about them that customers seem to love. These Bose SoundLink Revolve+ are another fan favorite. The SoundLink Revolve+ offers incredible sound with True 360-degree coverage. The speaker is water resistant and has a flexible handle to keep it portable friendly. The lithium-ion battery will give you an impressive 16 hours of playtime. And you can pair two speakers together for some stereo playback. Previous articleHow to Avoid Bitcoin High Transaction Fees? My name is Cartez Augustus! I'm a black blogger from Houston, Texas focusing on content marketing strategies and tech gadget reviews. Through this blog, I love helping people with their digital marketing and blogging issues. In my free time, you'll probably find me on Twitter talking about TV or video games! How to Choose a WordPress Theme? Should Dads Blog to Make Money? Blackandise is a Houston based content marketing blog providing new content marketing strategies and tech gadget reviews from blacks in technology. Blackandise participates in affiliate marketing programs, which means we are paid commissions on purchases made through our links to other sites. © Appdore, LLC. All Rights Reserved. Get notified of new content marketing posts and get free content via email. Our free content includes ebooks, videos, & resource lists. The mission at Blackandise is to provide easy to read articles for people with limited time. 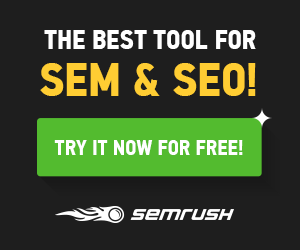 Why is SEMrush the Best SEO & SEM Tool?